Humidity controlled crisper drawers can be adjusted to low humidity to prevent fruits from spoiling and high humidity to keep greens fresh and full of moisture. Accommodate the set up of your kitchen, the door can be installed to swing open to the right or the left. The quality design, engineering and assembly takes place, right here, in America. The Top Freezer Refrigerators 18 Cu. Ft. Top Freezer Refrigerator by Frigidaire at Colder's Furniture and Appliance in the Milwaukee, West Allis, Oak Creek, Delafield, Grafton, and Waukesha, WI area. Product availability may vary. Contact us for the most current availability on this product. 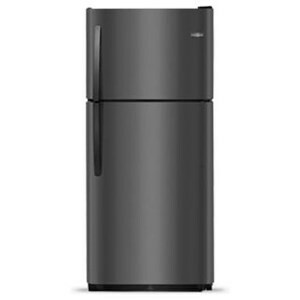 Capacity: Refrigerator 14.1 Cu. 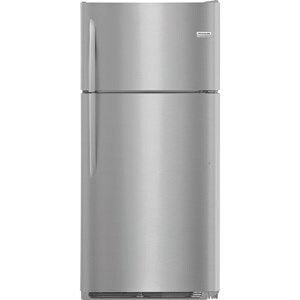 Ft.
Capacity: Freezer 3.98 Cu. Ft.
Capacity: Total 18 Cu. Ft. Shelf Area 22.5 Cu. Ft. 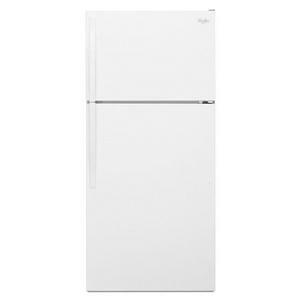 Depth with Door at 90° 58"
Frigidaire Top-Freezer refrigerators are all about storage. 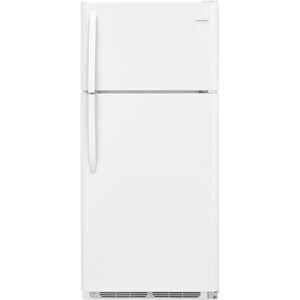 Whether you are in search of a primary refrigerator for the whole family to use or a secondary refrigerator that can stay in the garage, Frigidaire Top Freezer Refrigerators have what you need to make your life easier. Custom-Flex options that make organizing door bins and shelves, exactly the way you want them, very easy. Other helpful features include tilt-out freezer racks (great for pizzas), reversible doors, and ready-select controls. The Top Freezer Refrigerators collection is a great option if you are looking for Appliances in the Milwaukee, West Allis, Oak Creek, Delafield, Grafton, and Waukesha, WI area. Browse other items in the Top Freezer Refrigerators collection from Colder's Furniture and Appliance in the Milwaukee, West Allis, Oak Creek, Delafield, Grafton, and Waukesha, WI area.